My first proper map. RED and BLU fights over a pile of gravel. 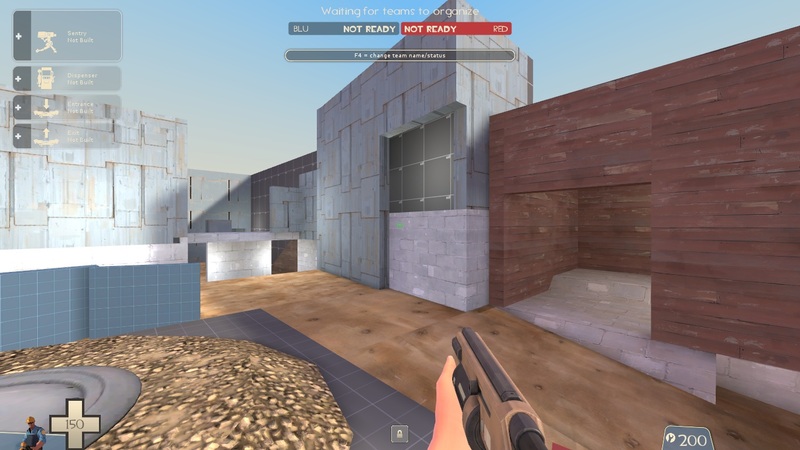 Gravelpile - My first proper map. RED and BLU fights over a pile of gravel. You have seen RED and BLU fight over almost everything on almost everywhere. Now prepare yourself, as the teams are about to engage in combat over...a pile of gravel? This is my first proper map. Got to say, the mapping tools are not so easy to learn. You did great with your first map! 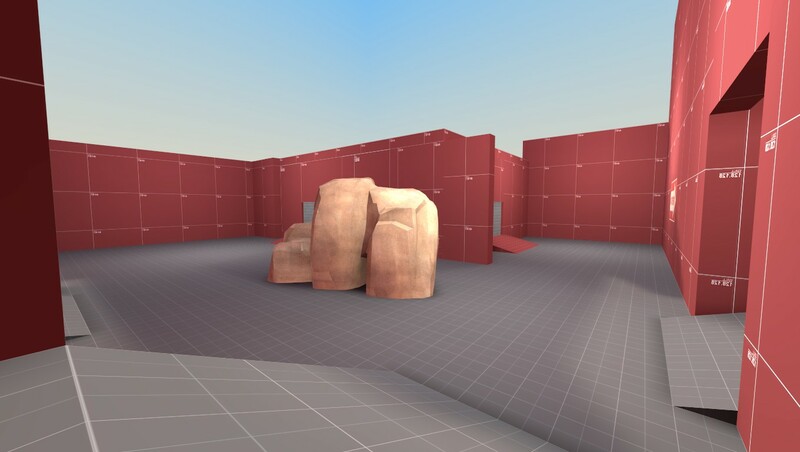 The sightlines, the spawns and courtyard sizes are just right. I would make mid a little bit bigger. And add an "info_observer_point" or two to your map. Sometimes maps/servers will crash from the lack of one. 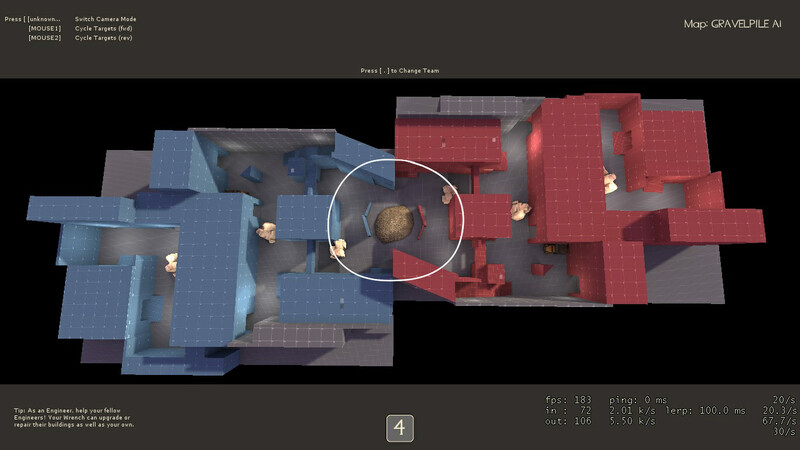 Cosmetic map feedback: Two of your "func_respawnroomvisualizer"s are floating from the door of RED and BLU. But it's great that the opposite teams still can't get in. Some textures are out of line. It can be fixed by selecting the brushes, click , and change Texture Shift's X and Y values to "0". Overall, you did a good job . 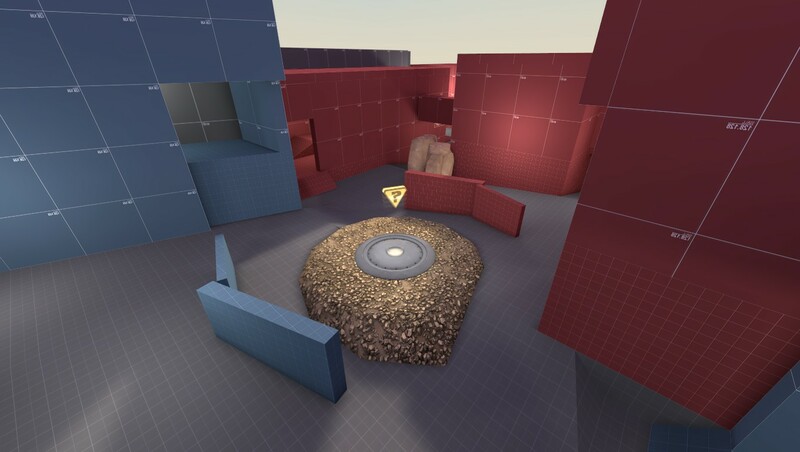 I wonder how Gravelpile would play with a full server. You probably already know this, but in alpha (especially a1) ignore ALL detail feedback. Can you tell me the correct way to fix the textures? 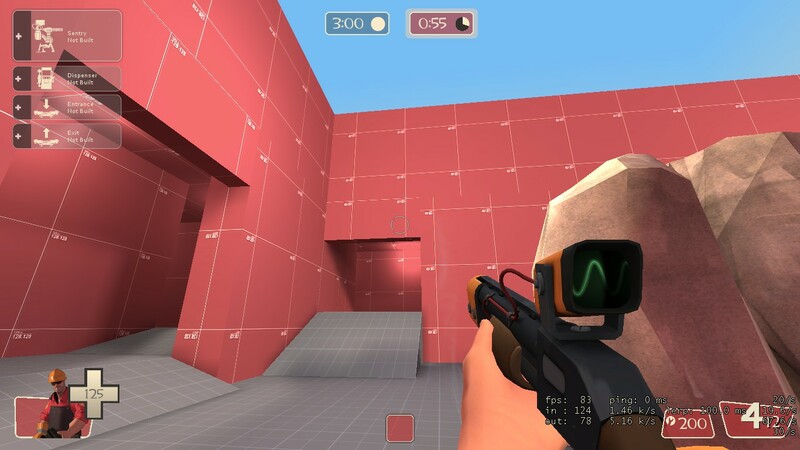 I think that is the correct way to fix the textures, but in alpha textures don't matter and don't need to be fixed. Not true. There is a difference between being nitpicky about irrelevant details such as texture choices or clutter props in alphas, and offering a newbie advice on things that would be easy to overlook. Loads of new mappers miss the texture alignment tools entirely (you know the infamous wood beams with the grain running the wrong way) and the placement of respawnroomvisualizers directly under a door frame is sort of an unspoken standard. Of course, telling these things to an experienced mapper would be a waste of time, but you never know what a new mapper might have missed while learning. So I see no reason why Tierra-Verde's feedback should be disregarded. I realise that this could be helpful, but in alpha knowledge of the texture alignment tools isn't really needed so it's kinda unnecessary to give feedback on it. A tiny little update here. 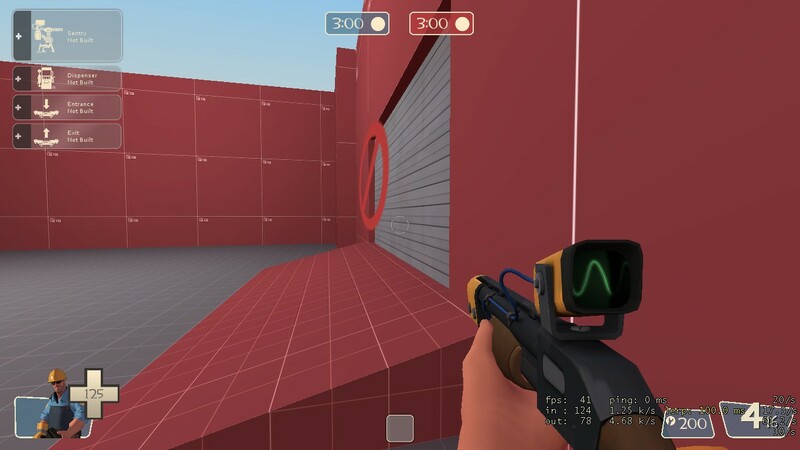 It adds an "info_observer_point" into the map (Thanks Tierra!). I do not want my map to crash when its playtested. That could leave a negative impression of it. As for the cosmetic changes, I will leave them for now. this time i learned how to compress a map. The file should be a lot smaller, if i did everything correctly. Wow it has been a year since i have updated this. Better late than never, eh? - Updated textures to match the theme. - Increased the size of the second courtyard and the area around the point. - Added a new, experimental route that goes through the middle building in the second courtyard. - Changed the sniping balcony's medium health- and ammo packs to small ones (due to the new route through the building). - Changed the layout of the hallway with trucks. - There may be more changes but it has been so long, I have long forgotten. It is almost sad, yes? No screenshots, I have gotten lazy. There were some issues noted on the last impromptu test that I fixed in this version. 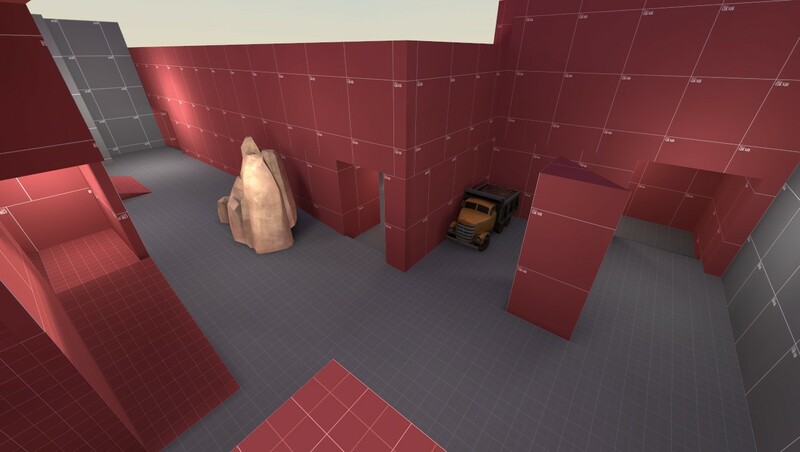 However, it only had 3 players per team, so I could not have gather enough data to properly work on the map. - Learned what displacements are. - Added a rock cover to building-balcony exit. 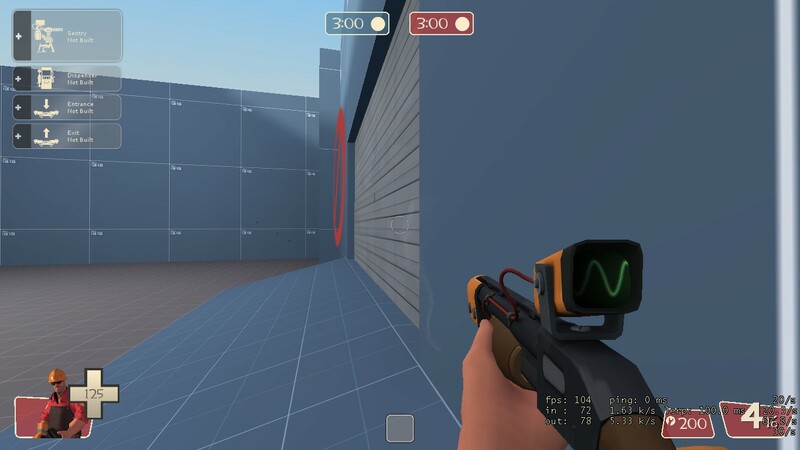 - Changed the small health pack on the sniping balcony to a medium one. - Added a small health pack inside the building. - Reverted back to dev textures. - Increased the capture area to cover the whole pile of gravel. No screenshots again, sorry! I promise to have something on the next version though! walls look very thick. I would make them 16 or 8 units thick.